South of Spain is part of Europe that you need to see and experience . Around 300 sunny days a year, miles of golden sandy beaches and beautiful natural harbors, mild climate and friendly character of the population, have turned him into one of the hottest regions in the world. Here you will experience the magic of flamenco, bullfighting in the purest style and remind ourselves and the story of Don Juan and Carmen. Malaga is a retreat this summer and from it we went every day to capture the essence of the Spanish way of life. We met with a unique culture and enjoy the country’s great tradition. 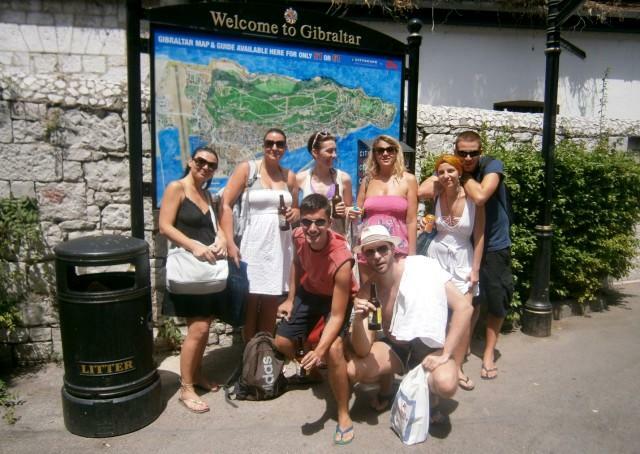 On the second day of our trip, we went to Gibraltar. He’s not part of Spain, but falls under the authority of the United Kingdom. 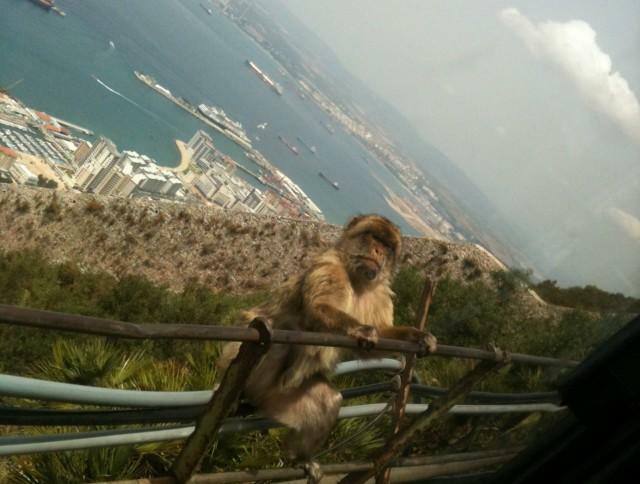 From the moment we entered the Gibraltar we removed the smile off your face. Painting on the place where the Mediterranean joins the Atlantic Ocean … a sunny day you can see and Morocco, whose shores are at only thirty kilometers as the crow flies. At the entrance to the city is the airport, which is actually a street that is closed when the plane to land. However, this day marked the monkeys happy that we were shooting to move freely, you jump at cars, you hump, stealing food … And of course, the discovery that everything is offered in “tax free”. We drink “Gibraltar” beer and happy and satisfied headed back to the rest of the group decided to spend the day on the beach and not knowing what kind of adventure misses. For the next day we chose to visit Granada. Granada is known for its historical buildings from the time of the Moors. 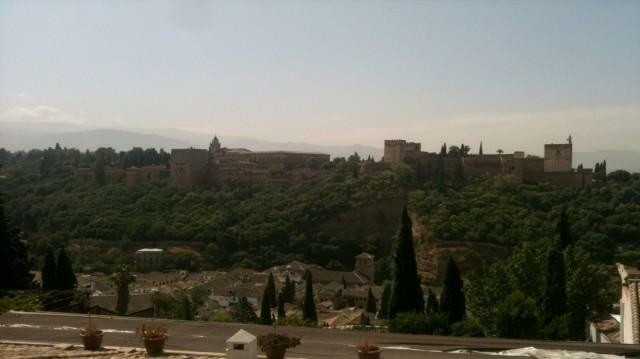 The most important building is the fortress “Alhambra”, which means red fortress. To be able to visit this building, above, on the internet you need to book a ticket for the tour. One part of our team did that, and the other was left to walk the streets, and that in hookah bars with tea save heat that awaited us in Granada. 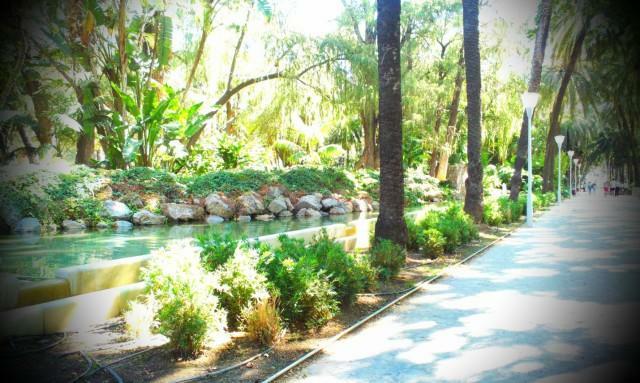 The next day was scheduled by a tour of Cordoba, authentic White villages for which this specific area, and then the Seville, which we eagerly await. 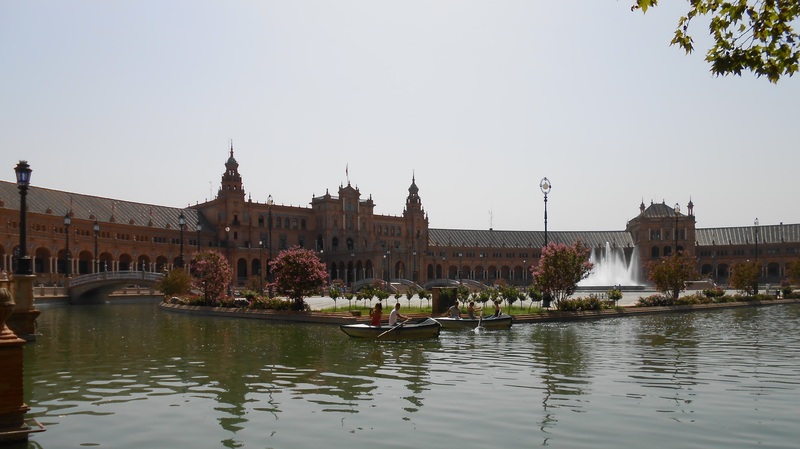 In Seville we waited temperature of 45 degrees Celsius, but it did not stop us to visit and explore the cultural, artistic and financial center of the region. 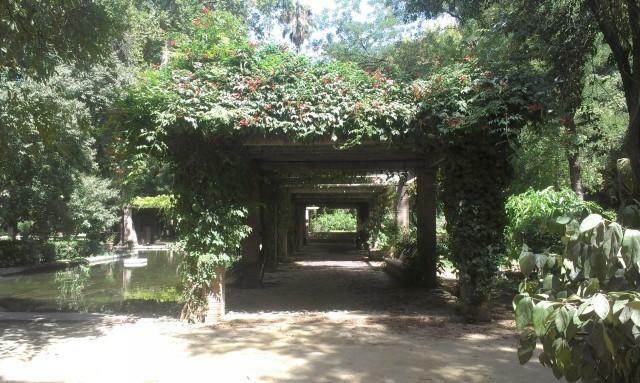 Seville, this is the true Spain which we dream and fantasize. Traditional with a soul and irreconcilable differences, which, incorporated into a whole, make up this city fantastic. Do not miss a tour of bullfighting, it is best at lunchtime when the weather siesta, during hot weather and when all the rest, then the least crowded. Speaking of lunch, in Seville I ate the best tapas. Alcázar of Seville is an old Moorish palace which was built in Mudèjar style and surrounded by beautiful gardens, do not miss to defeat it. Finally and Malaga come to order. Here we relaxed, we spent a nice day at the beach, a night we used to go out. 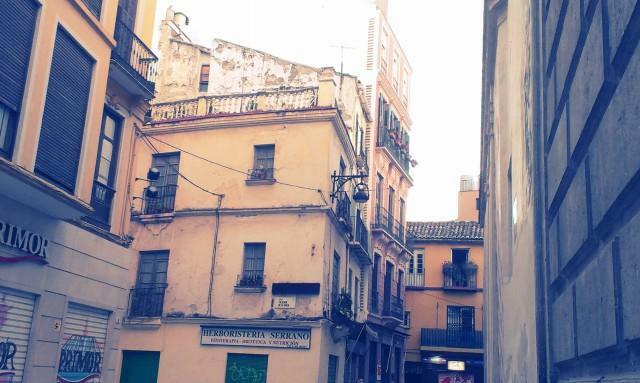 In Malaga Pablo Picasso was born, do not miss going to the museum and his birth house. Malaga Airport is named after him. Due to high temperatures the main street is covered with a canopy so as you walk its entire length you are protected from the sun and heat. Be sure to try churros in Spain eat it for breakfast with hot chocolate, I liked the most sugared as an afternoon snack. On the evening of baked fish on the beach so it is wedged on a stake, salt with coarse salt and lined up next to the fire. With a cold beer, licking his fingers. 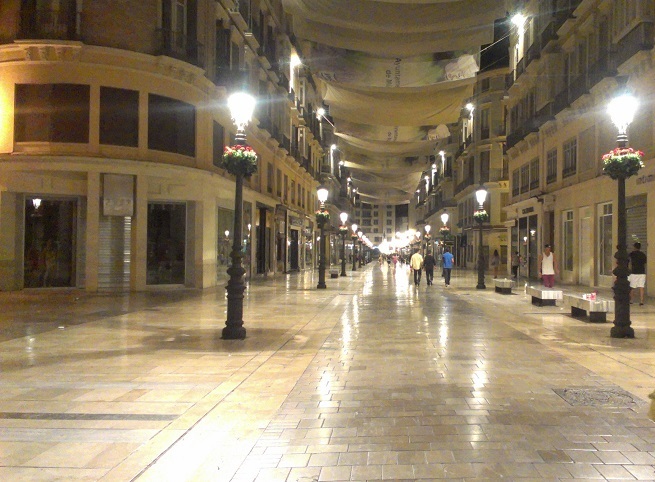 Otherwise, Malaga is not an expensive city. Prices of food, drinks, tickets, transportation are more than correct. On this journey, some of us would appreciate having visited the great museums, others will appreciate the architecture that we see, others beach and nightlife but all will agree that this is a vacation full of adventure. Whatever you want the Spain will have it! All you have to do is find what suits you and enjoy traveling through this great area. Passing through gorges and mountain traveler, offers a panoramic view and a fork just fall from the set that follows you.